Stunning, yet delicate and simple. 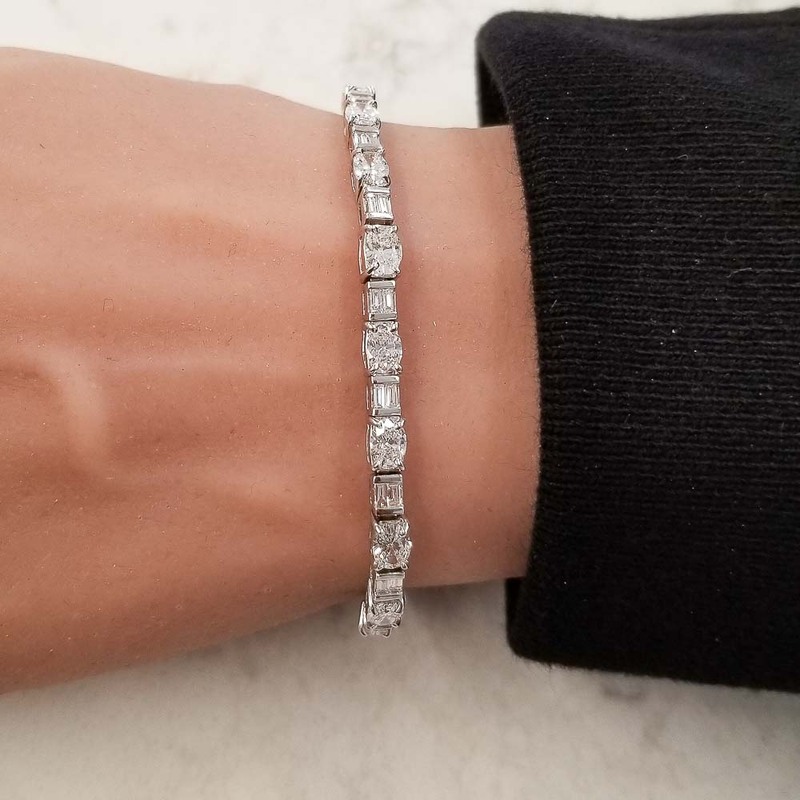 Tennis bracelets always provide a timeless and elegant look. This one however stands out with exceptional sparkle. Featuring 5.64 carats of oval F,G/VS diamonds and 1.05 carats of baguette cut F,G/VS diamonds, this bracelet is sure to start conversations. Set in 18k white gold, it's the perfect gift for that special lady in your life, one that she can treasure for a lifetime and wear for any occasion.